Features large bucket shape, with a generous radius and ample padding. 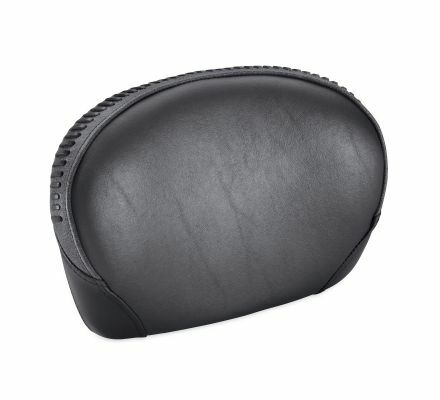 This backrest pad offers extra comfort for your passenger. Fits Standard Round Bar Mini-Medallion Style Upright P/N 52877-10 or 51168-10. 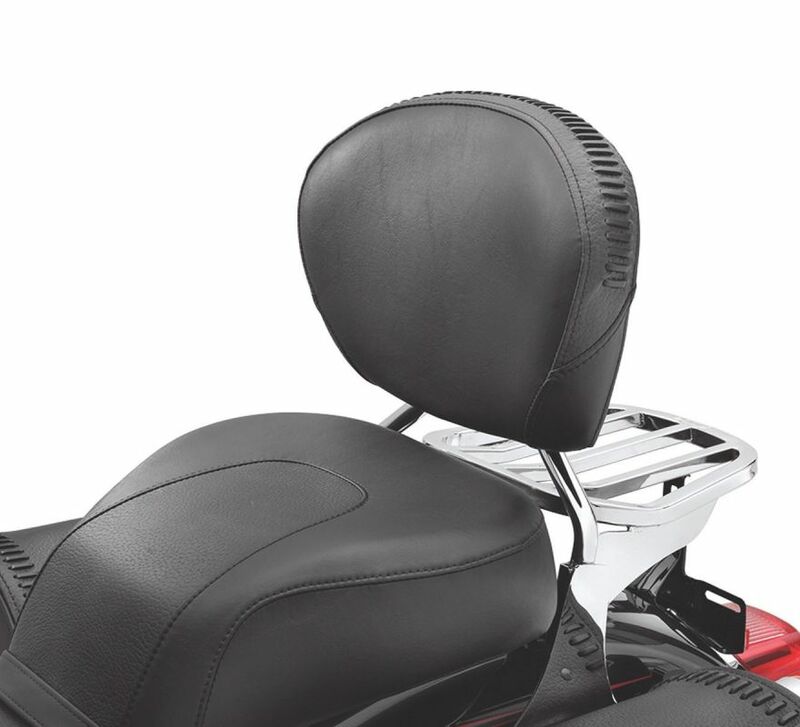 Also fits Low Round Bar Mini Medallion Style Sissy Bar Upright P/N 52300401, 52540-09A, 51477-06, 54256-10, 52300049 and 52300050.